By: Diane Kashin, Ed.D, RECE. The worksheet debate rages on! Even with research and alternatives that are play-based and hands-on, their use is still being defended. 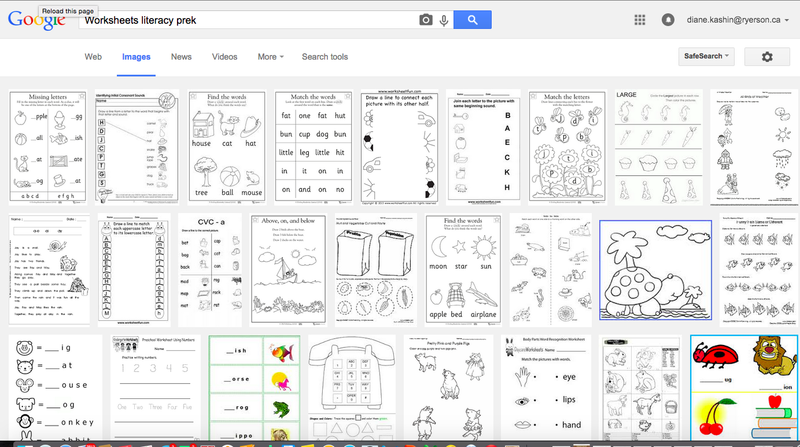 The fact is worksheets are not developmentally appropriate for preschool and kindergarten. I hadn’t expected the last blog post I wrote on worksheets to be shared more widely than any other I have written. When I posted it on my Facebook page with the image below, it was shared many times and included many comments about the worksheet dilemma with thoughtful ways suggested to convince others to let this dubious practice go. 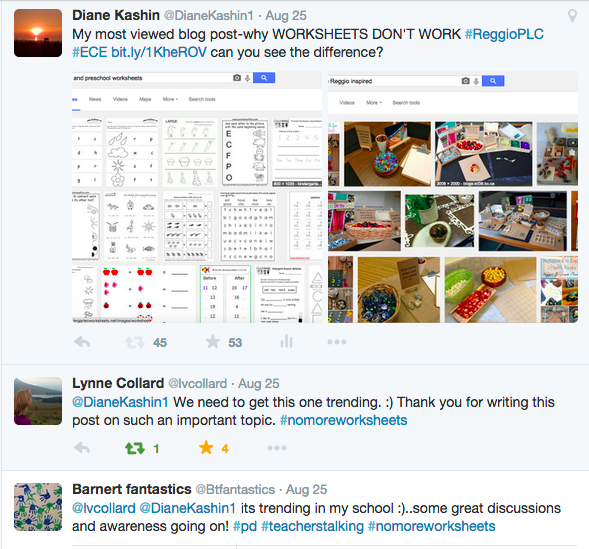 I was shocked that there were also comments that supported the use of worksheets. I am finding the worksheet dilemma fascinating especially as I prepare for another term of visiting ECE students in field placements. Last year, I saw too many worksheets and not enough play. One particular time, I found one of my students at the photocopy machine making copies of a worksheet. She looked horrified when she saw me and nervously assured me that she was asked to make the copies by her placement teacher. I thought then, as I think now, what a waste of paper and potential; my student’s potential and the potential of the children that were to receive the worksheets. Most worksheets I see are focused on numeracy or literacy. In Ontario, Canada, the early years pedagogy, How Does Learning Happen? 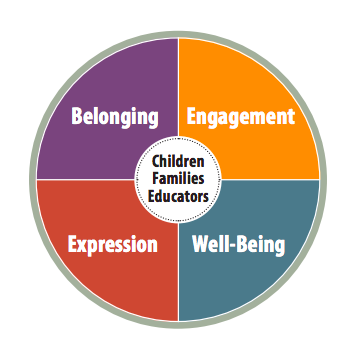 is organized around four foundational conditions that are important for children to grow and flourish: Belonging, Well-Being, Engagement, and Expression. Worksheets do not support any of these foundational conditions especially expression. When children express themselves “through their bodies, words, and use of materials, children develop capacities for increasingly complex communication. Opportunities to explore materials support creativity, problem solving, and mathematical behaviours. Language-rich environments support growing communication skills, which are foundational for literacy” (How Does Learning Happen?, p. 8). 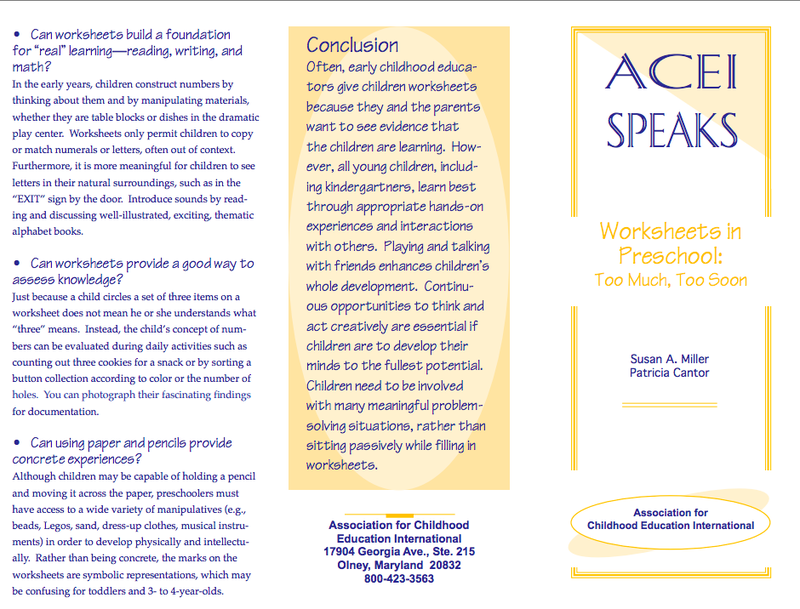 Worksheets are DIP (developmentally inappropriate practice) and do not support children to be expressive. Children learn when they are engaged with materials. Worksheets are the status quo for some and it is difficult to let go of practices that have become ingrained. They choose to erect the wall that Malaguzzi (2001) calls the wall of the “finite” (p. 6). When responses to curriculum become habituated and when they are left unquestioned, the result is the continuation of dubious practice and a limited view of what is beyond the wall. However, we can now see beyond the wall because of the infinite possibilities of social media. At our fingertips you will find research that supports the discontinuation of worksheets and resources that can help transform practices with ideas on how to move from DIP to DAP. I recently came upon a newsletter entitled: Where is the PLAY in worksheets, colouring‑in, art templates, phonics programs, sight words and early readers? and applaud the author’s courage to address these practices because yes, as I have discovered, some will be offended and become defensive. Really, are worksheets worth the paper they are printed on? In my experience, worksheets are most often used to assess math or literacy outcomes. Neither, are, in my opinion, and the opinion of many others, effective. Young children are meant to play to learn. 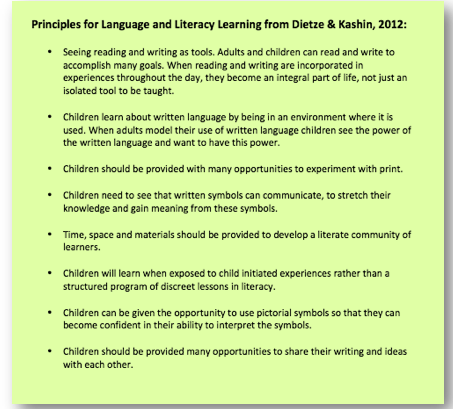 They do not need worksheets to develop language and literacy skills. Children should be invited to engage and express in a hundred languages and a hundred more. Worksheets in contrast to Reggio inspired literacy invitations are boring, one dimensional, and most often black and white. How do children develop language and literacy skills? Play and life experiences, including social skills and family interactions, add to the opportunities that children have for language and literacy skills to evolve (Dietze & Kashin, 2012). There are ways to create a community culture for language and literacy. Worksheets are a solitary task and do not offer many opportunities for sharing. Vygotsky believed that language as a social construct needed to be learned through social interaction. 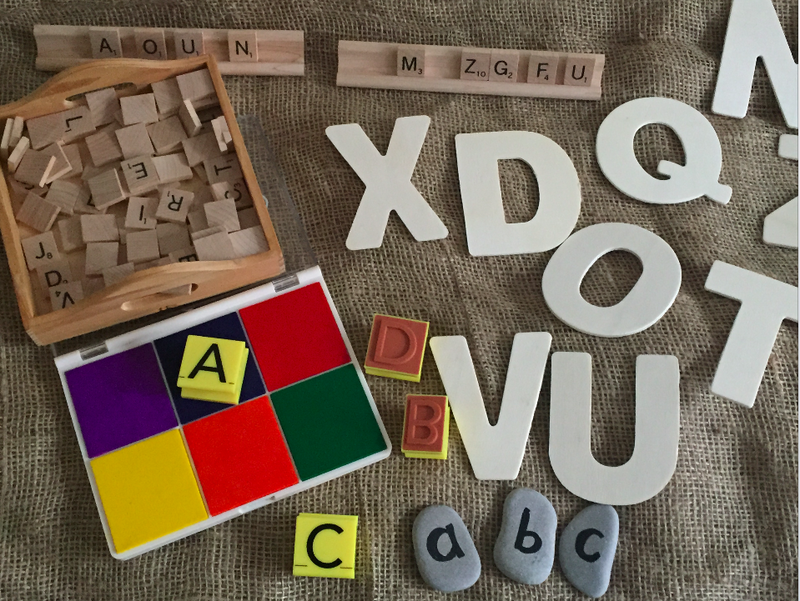 There are many ways to invite children to play with letters with their peers. In this way, children learn language and develop literacy. Print rich environments that provide children with daily opportunities to play with letters, write letters and interact with letters are the answer. 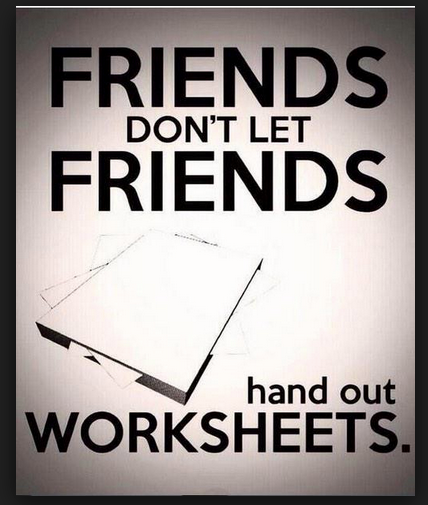 Worksheets are not. 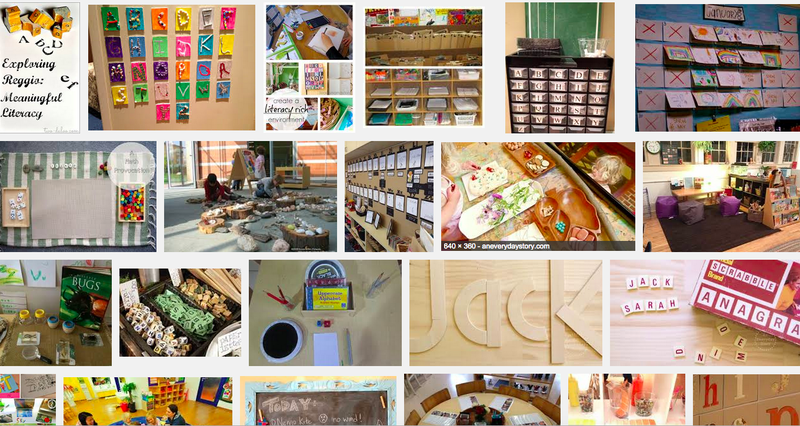 Educators who use pedagogical documentation will be able to gather evidence that makes literacy learning visible. Documentation as assessment supports children’s expression and engagement and therefore their well-being and sense of belonging. Worksheets are not necessary to meet outcomes. Make It Meaningful! Emergent Literacy in the Kindergarten Years follows the work of educators exploring how one can foster an environment that supports emergent literacy development in a Reggio Emilia-inspired kindergarten classroom. There are many ways that the teachers inspired children to engage in meaningful projects that supported their development of literacy. “Emergent literacy is based on the idea that children learn literacy as they come to it, rather than as it comes to them” (Bardige and Segal, 2005). The environment acts as the third teacher, providing authentic experiences for children to play, learn and develop. Within the environment are materials. 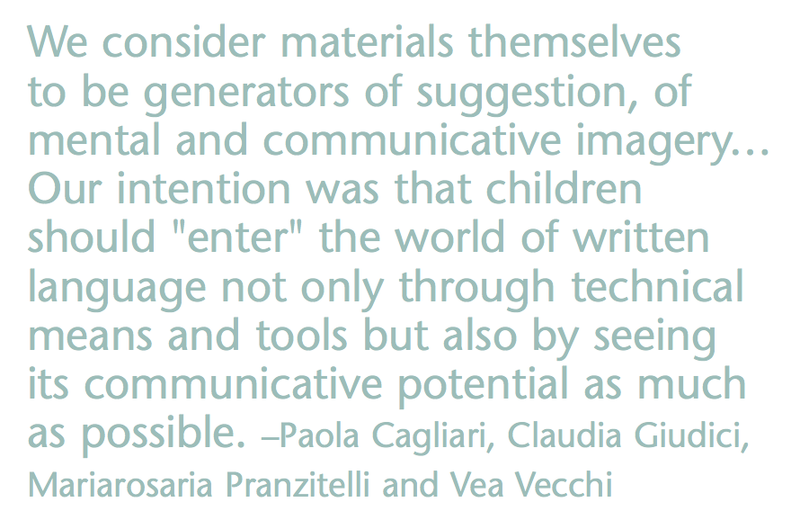 Materials are a way for children to enter the written world. 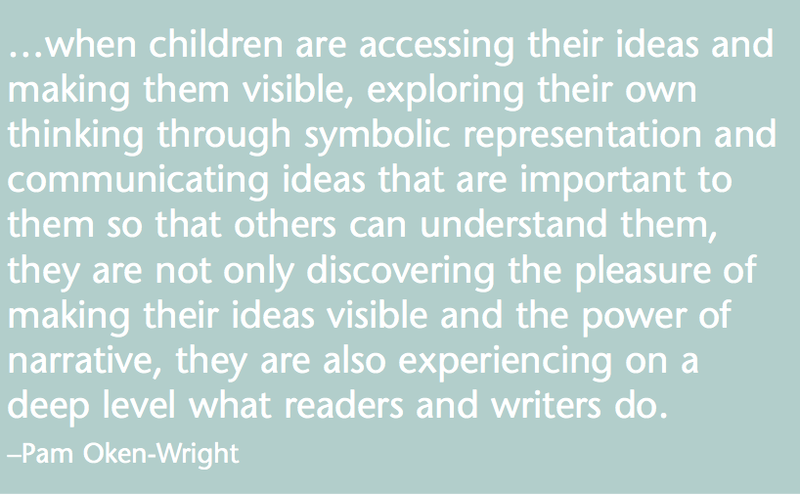 The The Enchantment of Writing is a wonderful resource that connects inquiry, play and emerging literacy. Is the early learning community ready to let go of worksheets? Clearly, I am not the only one that thinks so. Play = Learning. Yes, it is true that parents may see worksheets as important but you can share this brochure from the Association for Childhood Education International which designed to share with families. There is help out there for those of you committed to stepping away from the photocopiers! When my Facebook page shows that almost 14,000 people have been reached and close to 100 shares from a post about worksheets, clearly this topic is hitting a nerve. Can we say no to worksheets? I say that we can. Let’s stop the use of worksheets in preschool and kindergarten and let children play, learn and develop in ways that are more authentic and meaningful #nomoreworksheets! Fantastic blog and was wondering if you would weigh in on a ? I’ve been wondering since learning more about play. I haven’t touched worksheets in about 13 years but over the last 4/5 years as I learn more about child development, play, inquiry and Reggio I am beginning to see that I may have stopped doing worksheets but moved right on into planning little activities for math and literacy which were very structured with lots of rules and goals and therefore how was that any different than a worksheet?? Sure I had free choice built in my day but my math and literacy were filled with groups working on activities that I designed. I spent hours doing creating them and organizing them! I would call these activies very closed as I would teach them what to do with them. Now I use those activities rarely and if so with a specific student to target a skill I may see not yet developed. Was I just “doing worksheets” in another way??? That is an interesting question Lori. It suggests that you have been deeply reflecting on the 2 practices, that of worksheets and of teacher designed activities that leave room for minimal to no creative and divergent thinking from the child’s perspective. The one big difference between the two is that one is 2 dimensional and the other involved 3 dimensional materials. The materials invite children to think while actively engaged with concrete objects yet once the teacher has external rules and controls built in then this contradicts the notion of learning through play. “Play is freely chosen, intrinsically motivated, non-literal” in that there is no right or wrong way …. (Best Start Expert Panel on Early Learning, 2007, p. 90). Did the children also have to “play” at the activities at teacher-chosen times? As you are wondering about worksheets and teacher-structured activities it led me to wonder if others see children’s computer games as “glorified” worksheets? I also wonder what Diane thinks! First of all thank you Lori and thanks to Cindy for your thoughtful response to Lori’s question. Play is play and work is work … I think it is safe to say that at some points during the days and weeks of a school year that teachers assign work but what is play is really clear. In order for an activity to be considered play, the experience must include a measure of inner control, ability to bend or invent reality, and a strong internally based motivation for playing. If parents and educators try to label experiences as play, but in reality have specific requirements for the activity, then it becomes work not play. For example, it is really impossible to play with flash cards whose purpose is to have a child memorize something on each card. This is not playing and children quickly differentiate between pure play and work being disguised as play (Dietze & Kashin, 2012). When you work with an individual student to target a skill it is not play, it is work but it may be very important and valuable to that child in your classroom at that time. I think you should trust your yourself to make those judgement calls keeping in mind what you believe is best for the child. Thank you for writing this insightful article!! I strongly agree with your points presented. I need help trying to do what is best for the kids but having a difficult time because I can’t afford to lose my job! My students deserve so much better & I know it!! How would I share this on MY Facebook page? I would really like to share your previous post about this on my Facebook page. Can you help me? You are in a difficult position but you have research on your side. Be an advocate for your children. It is important to be diplomatic and respect that change takes time. Keep trying! The children are worth your efforts! Let me know if there is anything I can do to help. NAEYC’s Young Child publication has a number of excellent articles on the role of play in developing higher level thinking skills, along with the neurobiology for authentic concept formation that facilitates a deeper understanding and acquisition of literacy and numeracy skills. An excellent post! All I would add is please let this practice go for other grades as well. If it’s not good for K children, why is it good for others? What other options are there? I hope we’ll all explore other possibilities. I agree Aviva! I will do what I can to spread the word to Grade one and beyond! « Worksheets don’t Work: Try Reggio-Inspired Mathematics!